A flurry of government news conferences, sometimes several per day, to remind Albertans about programs and spending plans and the hiring of fundraisers and organizers, has bolstered the suspicion the NDP may be gearing up for a campaign. Alberta Premier Rachel Notley was holding the type of well-orchestrated news conference that has become common for the NDP government recently. The occasion on April 8 was to reveal the names and locations of 22 day-care centres funded to offer $25-a-day spots. 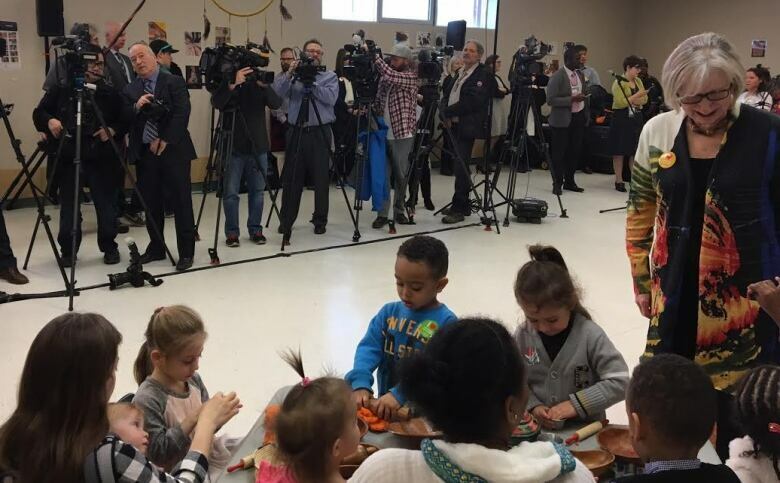 It was part of a promise made during the 2015 election on an issue near and dear to the hearts of the NDP, which has long advocated for universal, affordable and accessible child-care. There were plenty of pre-school children and parents in a room a bit small for so many people. Complicating matters was the presence of a well-equipped video production crew, hired to record the event. The scene was not unlike a campaign kickoff event. 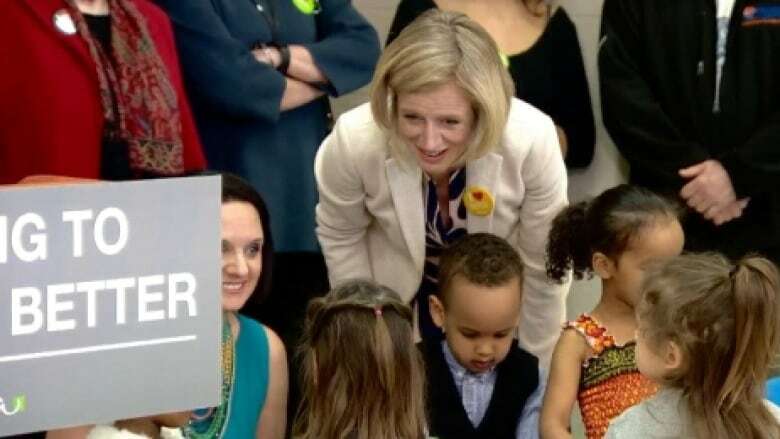 The problem is, May 5 marks only the two-year anniversary of the NDP victory in the last election, and the next vote doesn't have to be called until the next set election period, between March 1 and May 30, 2019. Unless of course, the premier decides to call an early election, which some in the opposition suspect could happen. A recent flurry of government news conferences, sometimes several per day to remind Albertans about programs and spending plans, have only bolstered that suspicion, though the government denies it. There are other indications the NDP may be gearing up for a campaign. The party is hiring two new organizers in Calgary and Edmonton, and someone to oversee fundraising. NDP provincial secretary Roari Richardson said the hiring is in response to "growth and expansion" of the party. He said he won't open candidate nominations until after new riding boundaries are set, later this year. Asked if the hirings are signs of an early election call, Richardson said: "I would highly doubt that." The issue of election timing came up during question period at the legislature this week. With the premier absent, deputy premier Sarah Hoffman and MLAs on the government benches burst into laughter when Wildrose MLA Derek Fildebrandt asked if the NDP would honour the fixed election date two years from now, or go to the polls early. "We certainly do not intend to call the election early," said Hoffman. "The question is coming from nowhere, so to be honest, I'm not prepared to answer at this time." 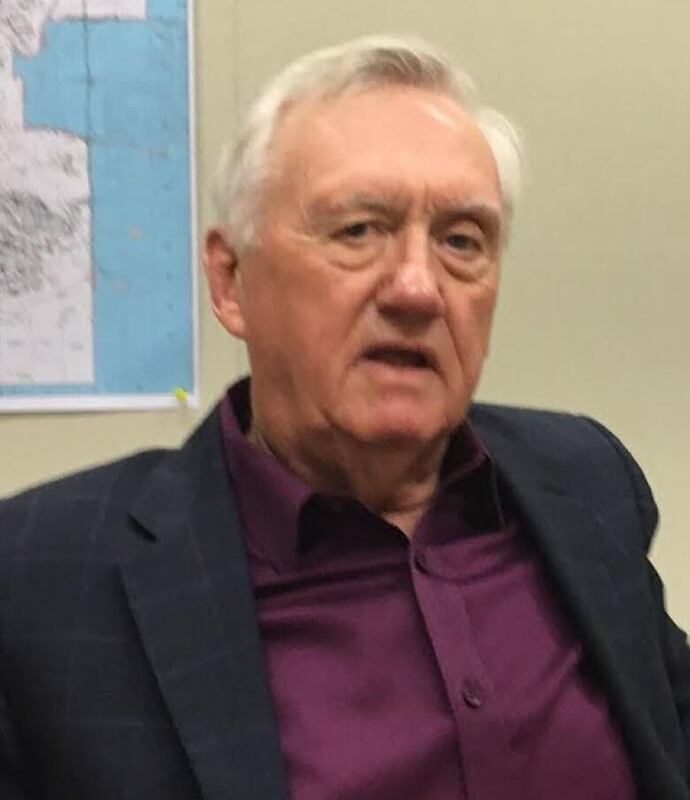 Drew Westwater, deputy chief electoral officer at Elections Alberta, said Notley can legally call an election at any time, despite the so-called "fixed" election date. The premier was asked at a news conference Thursday if she would call an election before that 2019 time-period set by law. "I can understand that the people of Alberta would not be, on the basis of the previous government's behaviour, used to a government that thinks it's their job to follow the law," Notley said. "I'm kind of a law-friendly person. I like law. Law is fun. Where stuff is there, you should follow it. "And so it's my intent to follow both the spirit as well as the letter of the law, because that's what I think you should do. That's what I've said before and that's what I'm saying again now." At the midway point of its mandate, the Notley government has already plowed through an ambitious agenda, while swimming in a sea of red ink. The minimum wage has been hiked, initiatives for climate change have been announced, school fees have been lowered. Two pipelines have been given the go-ahead by Ottawa but not yet built. And there's a record-high deficit. NDP elder statesman Ray Martin acknowledged the Notley government has hit rough patches over the last two years. A seasoned political veteran, Martin recalled that on election night, when results showed the NDP winning seats in unlikely places, such as the riding of Banff-Cochrane, he had "mixed feelings" about what lay ahead for his party, which had never before formed a government in Alberta. "With a whole new group of people, and taking on what we knew was coming, I knew it was going to be a big challenge ... to say the least," said Martin. It was clear Notley would have to lead Alberta during a major economic downturn with a large caucus of political rookies. "I was under no illusion about how tough it was going to be," he said. Soon after taking office, the new government faced challenges, including a visceral backlash in rural Alberta to the Farm Safety Bill, also known as Bill 6, which introduced worker compensation benefits for some farm workers. The bill was characterized by critics as an incursion into the running of family farms. Angry demonstrations in front of the legislature and at community meetings cast the new government as the enemy of rural Alberta. "I think because they were new, I think sometimes they rolled out programs and they didn't do it very well," said Martin. "They didn't explain it very well They rolled it out badly and everybody could read into it what they wanted. I think probably they learned from that." Notley softened Bill 6 somewhat, and demoted a cabinet minister to a lower-profile position. But the damage was already done. Despite what Martin sees as disarray on opposition benches, he said he strongly opposes an early election call, which some political observers think it could benefit the NDP. An early election call didn't work for former PC leader Jim Prentice, whose government was defeated by the NDP. And waiting would provide more time for the economy to improve, Martin said. "They're only halfway through their mandate, so I wouldn't be in a hurry to push it," he said. "Things will get better, and they'll get better at the job." Official Opposition Leader Brian Jean characterized the two years of NDP government as a "complete disaster." Using the Farm Safety Bill and a current labour review as examples, Jean said the NDP government has moved Alberta in a unhealthy political direction without accountability or transparency. "That's what's surprised me the most," said Jean, the Wildrose MLA for Fort McMurray-Conklin. "Not that they went in a different policy direction but truly that they have not consulted and not been transparent." The Wildrose and PC parties are currently negotiating a merger to form one united right-of-centre party. While those parties sort out their next move, there is uncertainty about who will lead the new party, and how it will operate. PC Leader Jason Kenney, who has yet to win a seat in the legislature, praised the NDP for its efforts to bring more transparency to government. But he said the new carbon tax, higher labour costs, more regulations, and higher corporate taxes have kept major investment dollars out of Alberta. "All of these things together have made the downturn worse than it otherwise would have been," said Kenney. 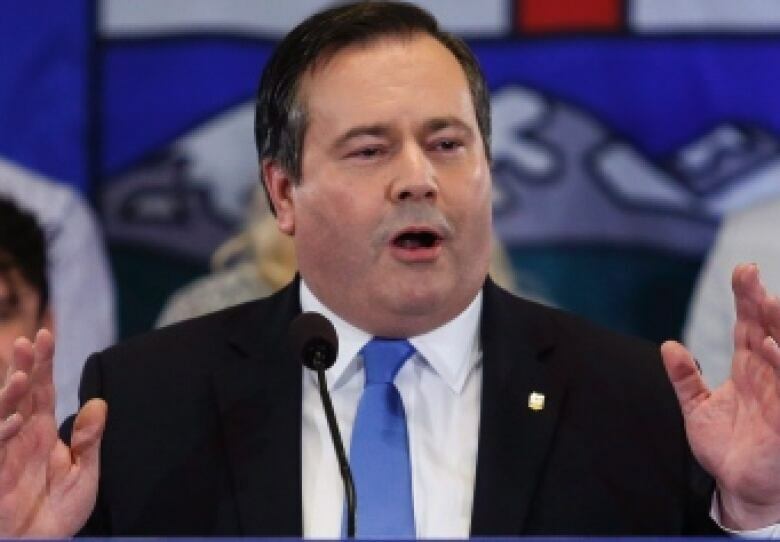 Some disaffected PC members, upset with the selection of Kenney as the new leader, are testing the waters to see how much support exists for a new political party that would fall somewhere between the NDP and the entity that would be created out of a Wildrose/PC merger. On April 27, political watchers witnessed a pivotal moment that could have major ramifications for the next two years. At the Alberta Federation of Labour annual convention in Edmonton, a full house was on hand for a speech by Labour Minister Christina Gray. The audience was eager to hear about the ongoing review of labour standards and labour laws. Introducing the minister, AFL president Gil McGowan stressed what labour expects from the government it helped elect. 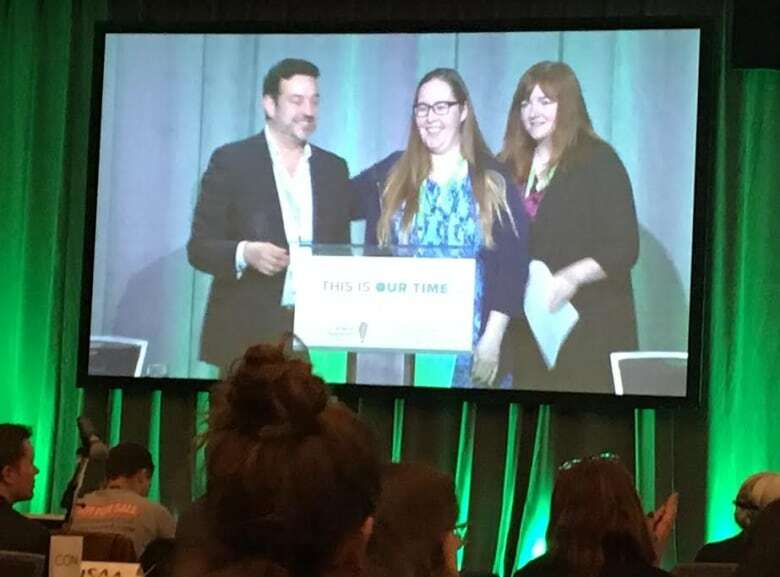 Labour Minister Christina Gray is warmly welcomed by the Alberta Federation of Labour president Gil McGowan and vice-president Siobhan Vipond last week. "We've been talking to her (Gray) about it, and we're confident she and other people in her ministry will do what should have been done years ago," said McGowan. "And we're going to do everything we can to make sure that we go a little bit beyond that as well." Gray made no promises about what was coming, other than to acknowledge the labour review is underway. But she took the opportunity to do some recruiting at the beginning of her speech. "For firefighters and postal workers in the room? I mean, 2019, we need some good candidates so … ," she said. Afterwards, during a question-and-answer session, a member of the audience walked up to the microphone to complain about paying more for propane when he filled up his tank at Costco. He said he was told it was because of the NDP's carbon tax. The man said he voted NDP two years ago, but had hoped to not have "a tax or disincentive to use fossil fuels," pointing out the party didn't tell voters about the carbon tax during the campaign. Gray said the NDP promised to take action on climate change as part of the party's 2015 election platform. The carbon tax wasn't part of the platform, she said, because "at the time we didn't know what was going to make sense for Alberta." The open mic question about the carbon tax created a whiff of uneasiness in the room, something that promises to linger as Alberta heads towards the next election. MacEwan University political scientist John Soroski said over the last two years the Notley government has "created a reputation as being moderately progressive" without being radical. "In some ways," said Soroski, "they look like what an (former PC premier) Alison Redford government might have been, had they not been so terrible and awful and incompetent." The main challenge for the government is, "of course, oil prices," Sorski said, referring to the billions of dollars in revenue lost to an international price slump. Soroski said calling an early election would carry significant risk for the NDP. They could come across as "manipulative" at a time when the party has been trailing both the Wildrose and PCs in public opinion polls. Martin said he would advise the government not to take on any "big new project" in the second half of its mandate. Instead, the government should continue to sell the programs it has already unveiled, including the carbon tax. "Now they have to make those work," he said. In the meantime, the NDP government continues to showcase announcements. Dynacor, the company hired to videotape the day-care announcement on April 8, has done other work for the government. According to the provincial government public accounts 'blue book' listing companies paid for doing government work, in the last nine months of 2016 Dynacor was paid $122,514 by four government departments, including executive council. In an email response, Corey Hogan, managing director of the government's Public Affairs Bureau, said the company was brought in for a project that isn't yet completed. "We'll be more than happy to share more details when it is," said Hogan, who added the completion date is weeks, not months away.